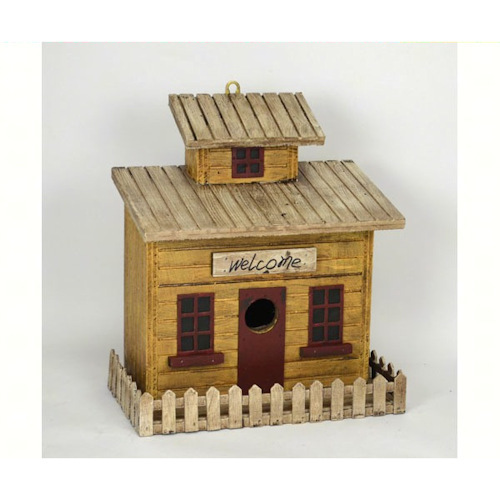 With its picket fence and wood board composition, you can practically hear the waves crashing against the Beach Cottage Birdhouse. This beachy birdhouse features two levels. Above the red door where the birds can enter, there is a sign that reads, “welcome.” Red windows match the door and complete the look. Be the first to review “Beach Cottage Birdhouse” Click here to cancel reply.